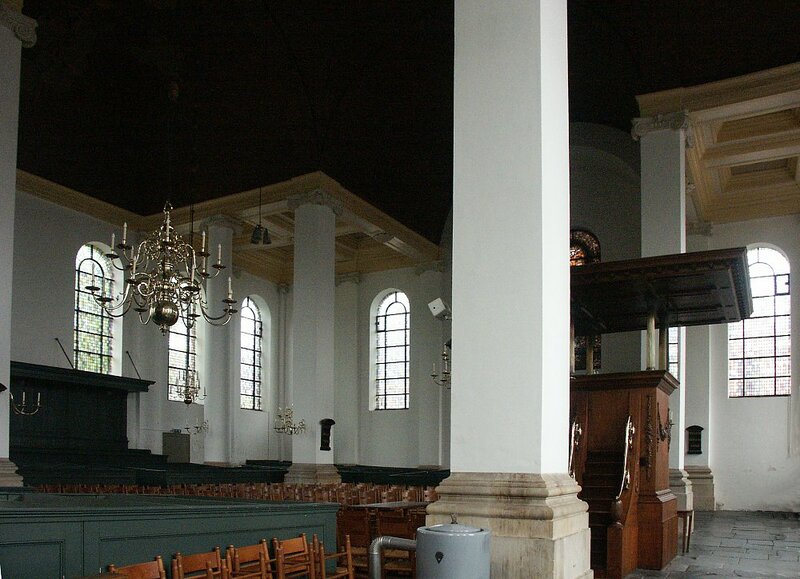 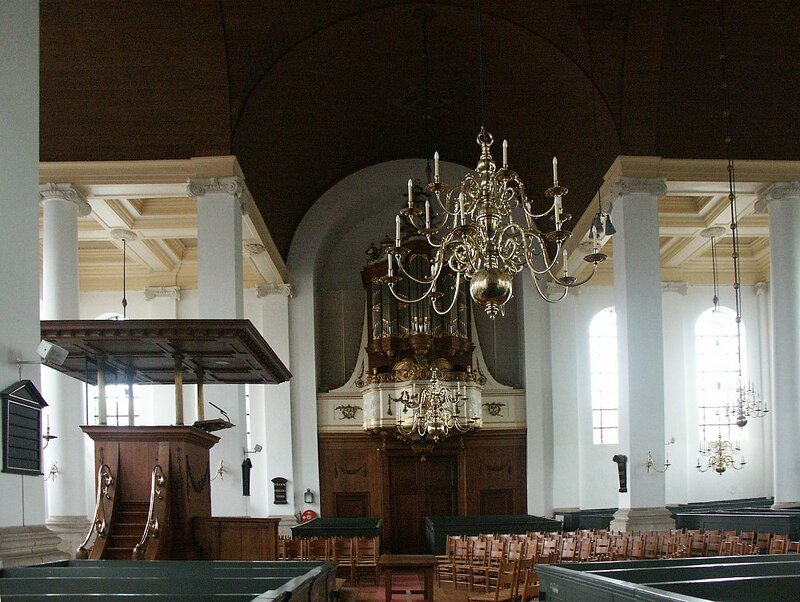 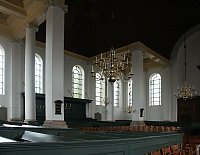 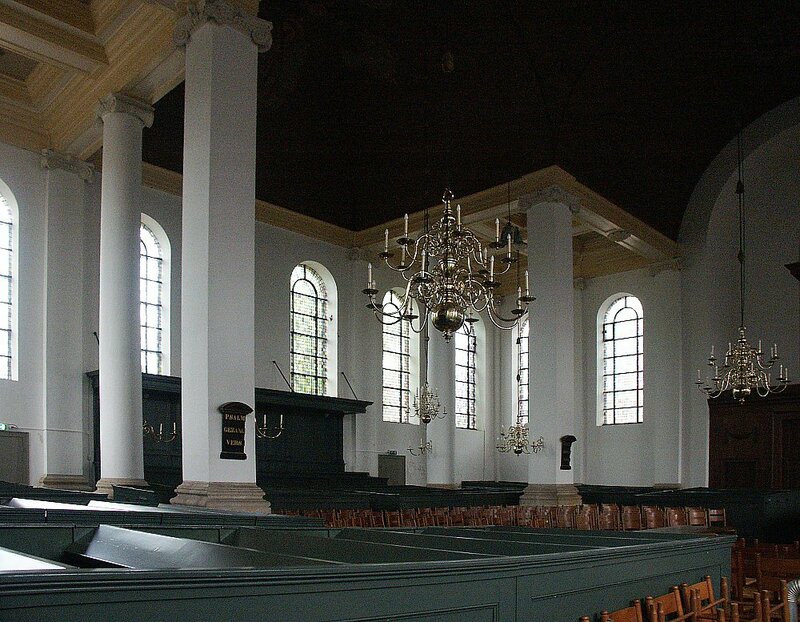 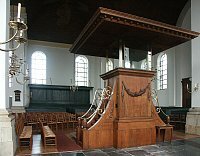 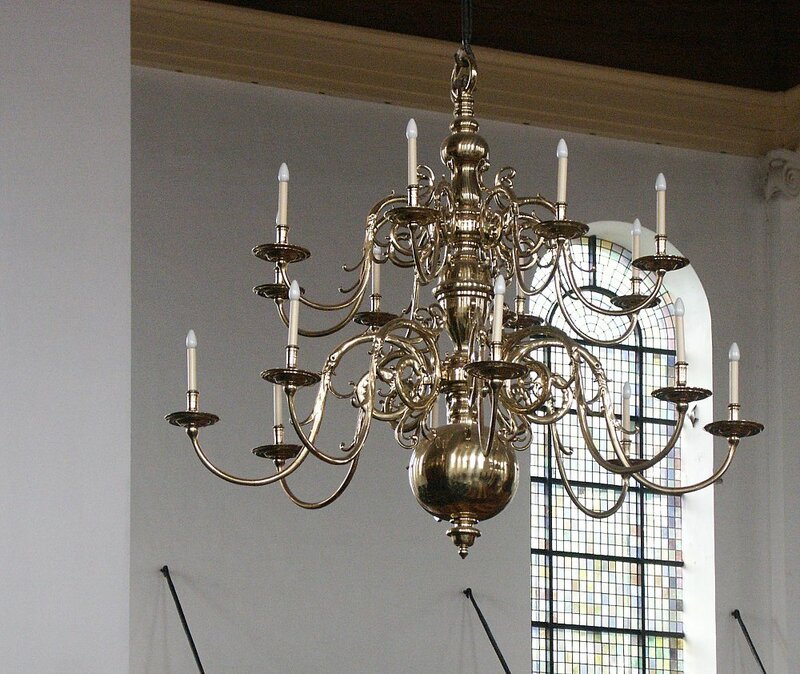 Some sources say that this is the first church designed specifically for Protestant use in Haarlem. 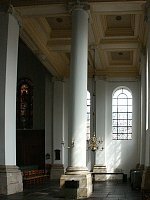 Van Campen, who had studied in Italy and was influenced by the Renaissance classicism of Andrea Palladio and Vincenzo Scamozzi is crediting with introducing a classical revival style in Dutch Baroque architecture. 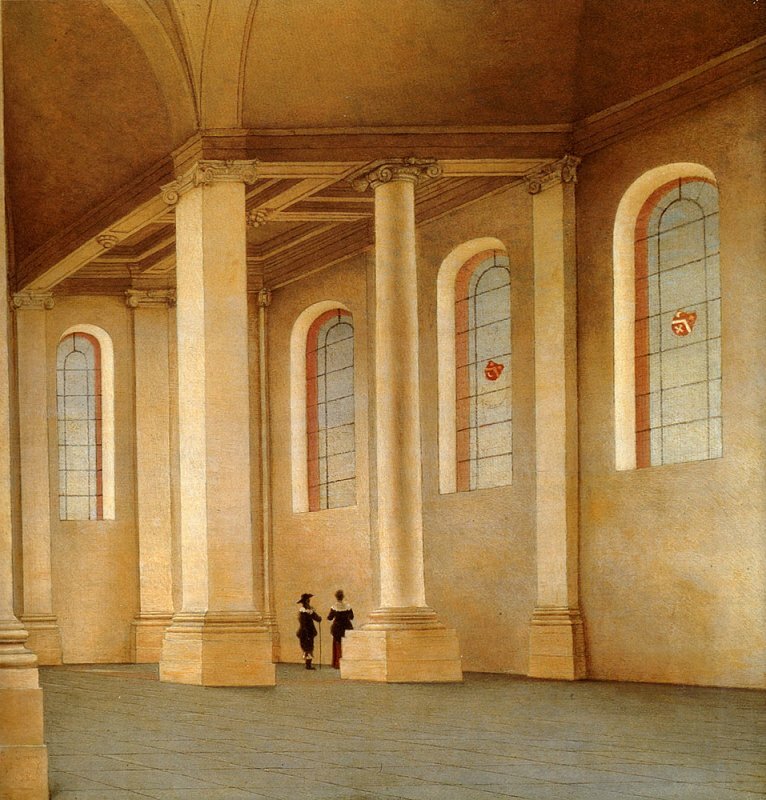 He is said to have influenced Wren in England. 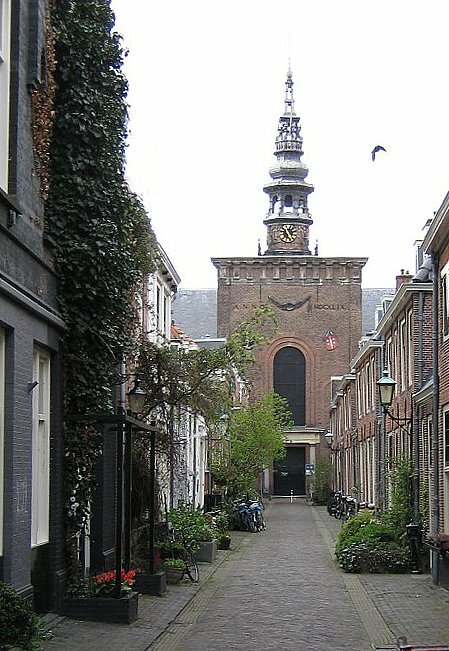 The exterior view is a public domain image from Wikimedia by Steinbach. 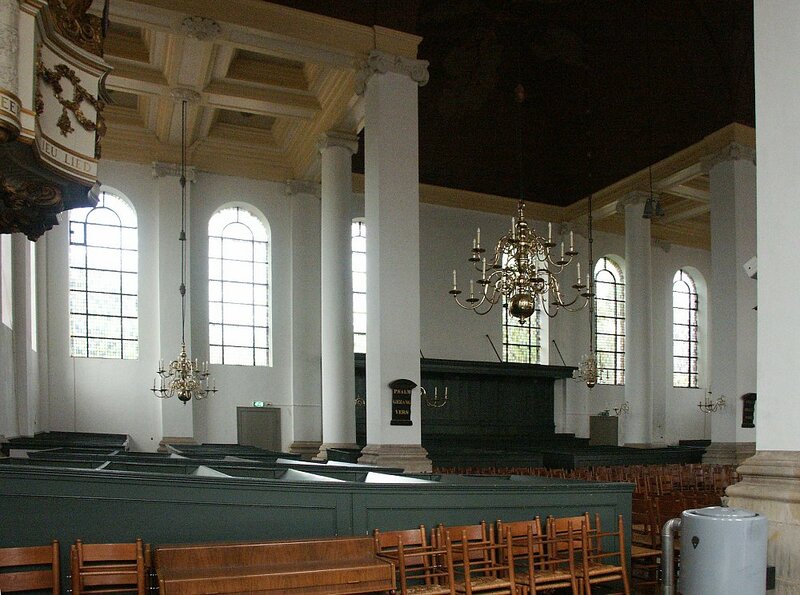 The painting of the interior is one of several of this church by Pieter Jansz. 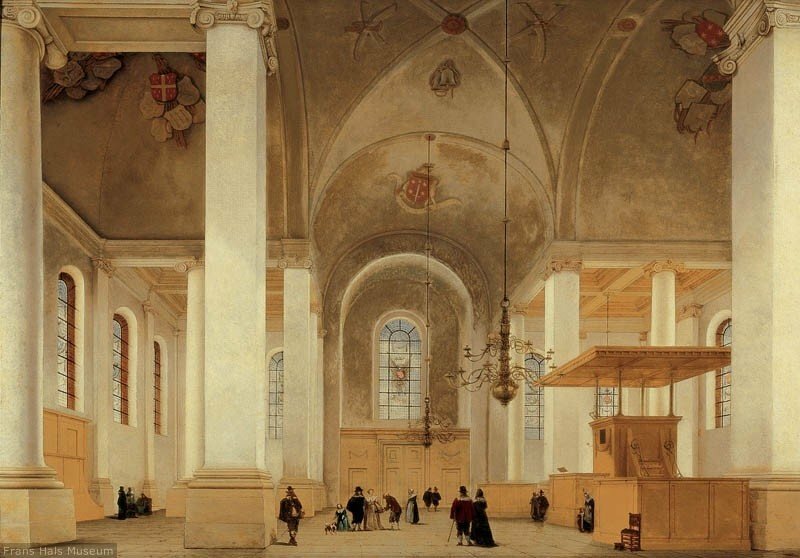 Saenredam, 1652. 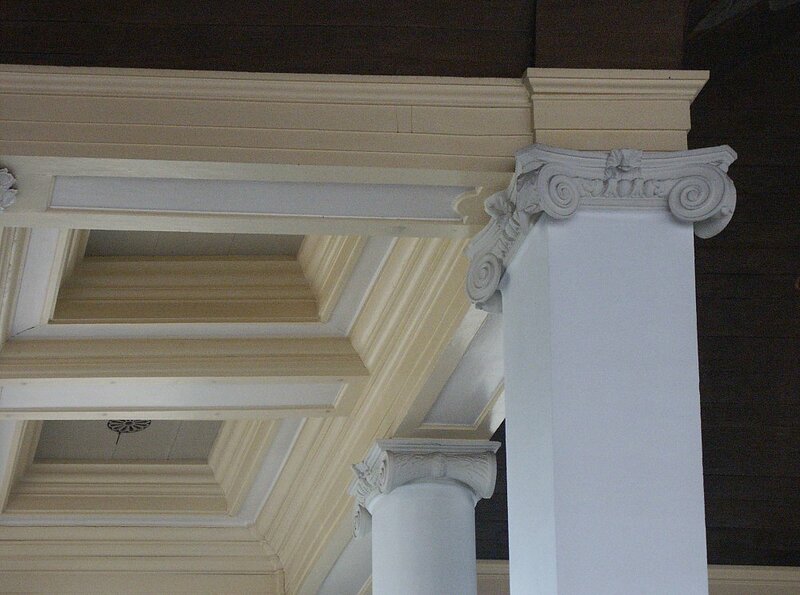 Each corner has a square open "room" with lowered ceiling, beautifully coffered, and with columns or piers topped by delicate Ionic capitals. The vaulting springs from the outermost pier, although this is not visible on my photographs. 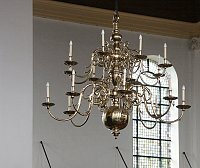 See the painting above. The painting of the corner detail is one of several of this church by Pieter Jansz. Saenredam. Typically, he alters the scale so that the human figures appear miniature.